Welcome to Life Styles Salon and thank you for visiting our website. Our mission is to give our clients the best possible service, and to use our expertise ,in all hair types, to advise you on the hair style best suited for you. Curly hair? No problem, we are the place for you. We have been at our present location for over 20 years. 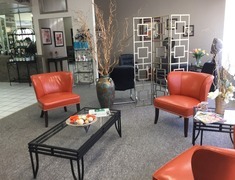 we are an established salon with many loyal customers, we hope you join us. Junior and misses sizes, a variety of unique styles to suit every taste.